Hello my fellow forex trader. Today is my first post for the year 2011. It has been a late post because I’ve been busy. The usual boring stuff, business. Anyway, what I want to give you for today is a list of useful websites and tools that can help you learn or even master forex trading. The same tools and website I used to educate myself in this trade. Before you spend your money on forex seminars here in the Philippines, read the list first. Most of the seminars that are offered locally are the same materials you’ll find online for free. Well… most of them. You want to save that money for investing. And in forex trading, you need all the money you can get. There are a lot of forex education out there in the market and its for free. The one that’s particularly close to my heart is babypips.com. Simply because you have all the things you need to learn all in one place. And you won’t get overwhelmed by the information because you can learn at your own pace. Visit them and read some of their lessons. I’m pretty sure you’ll be spending a lot of time in babypips. You need to keep track if you’re progressing or not. You need to know if you’re following your trading strategy. The use of forex trading journals is just that – to know if you’re diligently following your own rules. And to get into the habit of emotionless trading. Personally, this one is the hardest one to find, practice and decide. There seems to be a lot of different strategy in trading. And I recommend you try them all. See what works for you. Try them on your forex backtester or try it demo. Your forex strategy will be your main weapon to live, survive and thrive in the world of forex trading. Don’t forget that during your first 8 months practicing, should be spent on testing what forex strategy fits your personality. The reason why there are a lot of forex strategy out there is because there are a lot of people trading forex and each one of them will have a unique strategy based on their personality. Diving into the world of forex strategy could be overwhelming as there are thousands upon thousands of them to choose from. In my personal opinion, your quest should start with this book. 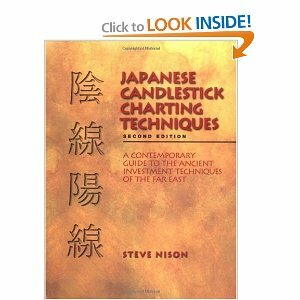 And your strategy should be based on candle stick chart readings. It is a technical way to reading forex charts that has been proven to be very effective.